We love our pacifiers around here! I've used pacifiers (we call them nuks) with all the boys and Earth is the only one that has really loved his. The other two just started spitting it out around nine months but Earth is so attached that we've had to wean him in stages. He used to wear them attached to his shirts all the time and we stopped doing that in morning, telling him that, "Nuks are for night-nights". He didn't really like it but it wasn't too hard since he was still getting his pacifier for naps and at night time. D has been wanting to fully wean him for a long time but it just kept getting put off for one reason or another. We finally decided this past weekend that it was time to bite the bullet. Earth's first night without a pacifier was terrible! He kept begging and begging for it at the top of his lungs. He screamed so much he made himself hoarse! I wanted to cave in and give it to him but D insisted that we stick with it. I think I only got four hours of sleep that night- it was like having a newborn again. It has gradually gotten easier and last night he actually slept through the night. 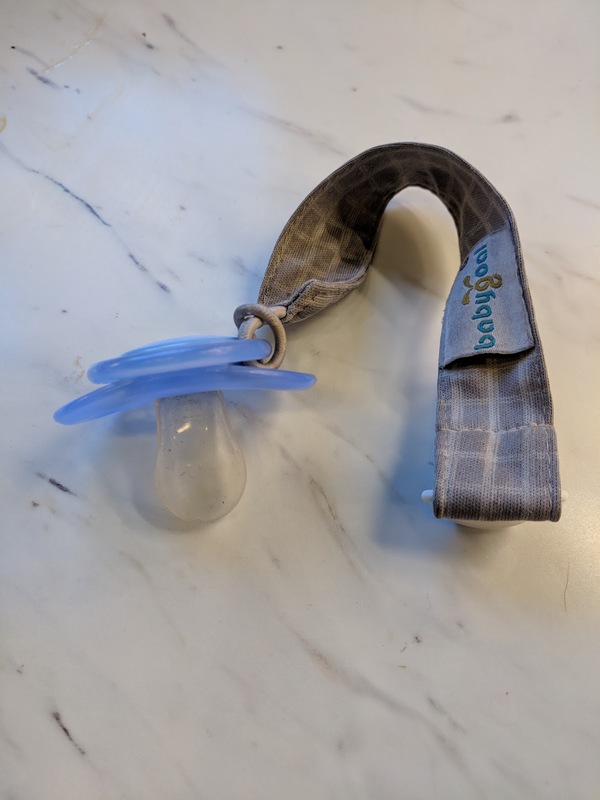 If you're looking at weaning your toddler from their pacifier, my advice would be start out gentler than we did and to be prepared for it to be a struggle. 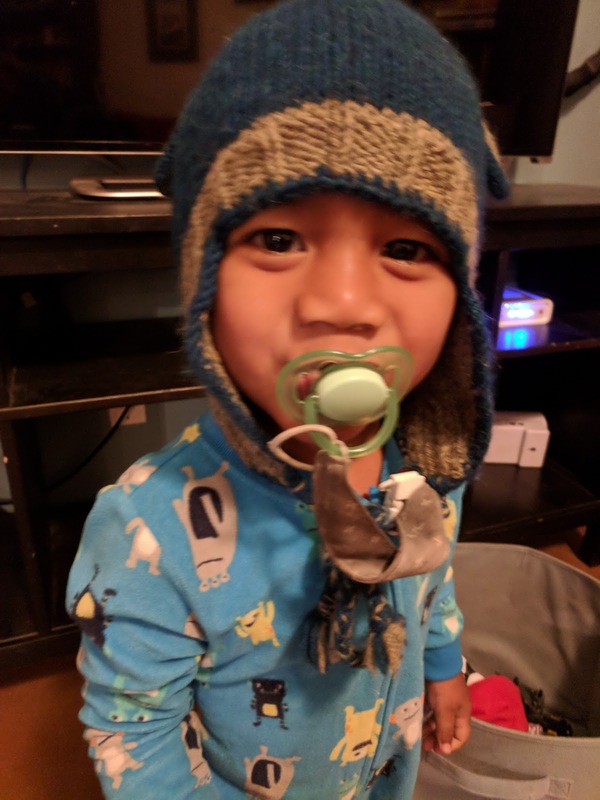 I think I could have found a gentler way to take Earth's pacifier away instead of surprising him by just saying that it was "all gone" one night. It also would have been easier for us if we'd mentally prepared ourselves for the challenge. Since we didn't, we spent two sleepless nights feeling angry about our poor wakeful baby. Happily, we do seem to be through the worst of it and Earth is one step closer to being the big boy like his brothers that he wants to be!